This saying has been around for some time, but it could have been directed at Janfrie Wakim’s column, ‘Arabs betrayed in war Kiwis fought 100 years ago’. Wakim, an anti-Israel activist who never misses an opportunity to denigrate the Jewish homeland, manipulates the historical record of 100 years ago for her ideological purposes. That much is predictable. But dishonouring the New Zealanders who died in a decisive battle in WW1 is unforgivable. 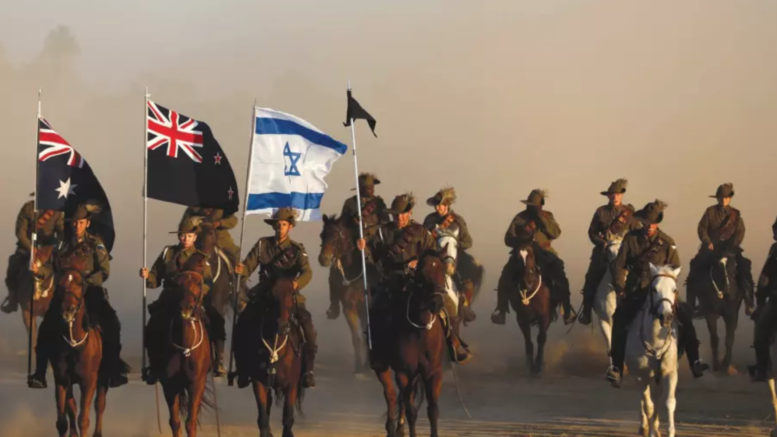 On 31 October 1917 the ANZACs played a significant role in the Battle of Beersheba, a legendary battle at the start of the Palestine and Sinai campaign of WW1, which was a turning point in the victorious war against the Ottoman Empire. New Zealand soldiers are buried in the Commonwealth War Graves at Beersheba, where our Governor General has just attended a commemoration ceremony. In referencing this and other battles, Wakim queries the “wisdom of contributing to the catastrophic consequences of imperial power, manipulation and conquest”, omitting that our soldiers fought to defeat the Ottoman Empire, a brutal, imperialistic regime of some 400 years, and the perpetrator of genocide against the Armenian people. Following the Ottoman Empire’s collapse, the Allies were tasked with deciding its territory’s future, including the administrative district of Palestine. Ruled from Istanbul, it was not a discrete entity or sovereign state, and had not been since it was a Jewish state some 2000 years ago. The Jewish people are the indigenous people of Palestine, as history, archeology and genetics attest. Through millennia, Jews maintained their indigenous connection to their historic homeland and aspired to return. Further, there has always been a Jewish presence in the land, in spite of the expulsions, persecution, and a series of occupiers, including the Arabs from the 7th century. The Balfour Declaration of 2 November 1917 declared the British Government’s support for the re-establishment of a Jewish homeland in Palestine, but it also affirmed that nothing should be done to prejudice the civil and religious rights of non-Jewish communities there. The Declaration was endorsed by the international community, and enshrined by the League of Nations in 1922, when it entrusted Great Britain with the Mandate for Palestine to determine its future. The legal instrument of the Mandate recognised the “historical connection of the Jewish people with Palestine and the grounds for reconstituting their national home in that country”. In 1922 the area east of the Jordan River, over 75% of the area originally allocated for the reconstitution of the Jewish homeland, was carved off for the Arabs, excluding Jews, and named Trans-Jordan, now known as Jordan. Today it is estimated that half of Jordanians have Arab Palestinian roots. The remnant was intended for the Jewish homeland. Despite that, in 1947 the United Nations, which took on the Mandate for Palestine as the League of Nations’ successor, offered the Arabs living in the area a state under its Partition Plan, alongside a Jewish state. Although it was a small portion of what they had originally been promised and hoped for, Jewish leaders accepted the partition and declared independence the next year, while the Arabs disastrously declined and attacked the nascent state. Arab Palestinian leaders have continued to refuse every offer of a state alongside a Jewish state. Wakim infantilises Arabs, overlooking that their leaders have always had their own agenda and agency in the political machinations in the region. In fact, to appease the Arabs, and despite the Balfour Declaration, the British limited the number of Jews allowed to enter Palestine in 1921, and again in 1929 and, most devastatingly, in 1939—when Europe’s Jews were desperately needing refuge. The flow of Arabs continued unhindered. It was not the Arabs who were betrayed by the British; it was the Jews, to devastating effect. Looking back at the events of 100 years ago, the significant role that New Zealand soldiers played in defeating the Ottoman Empire is something all Kiwis can be proud of. And while Britain has much in its colonial past to be ashamed of, including in New Zealand, its visionary Balfour Declaration should be celebrated. The re-establishment of the Jewish homeland in a tiny portion of the ruins of the Ottoman Empire, and the flourishing of that democratic diverse state in spite of many challenges and despotic neighbours who seek its destruction, is the inspiring triumph of an indigenous people over imperialism and adversity. This article was originally published in the NZ Herald.